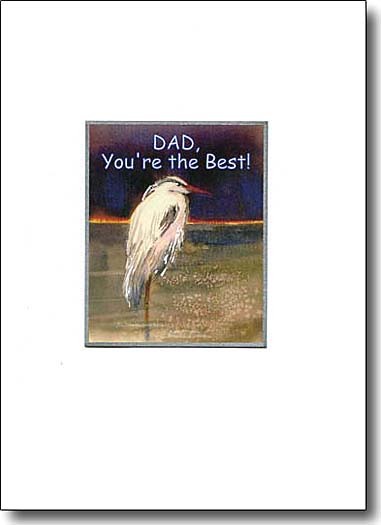 Very Special Father's Day Cards for That Very Special Person! 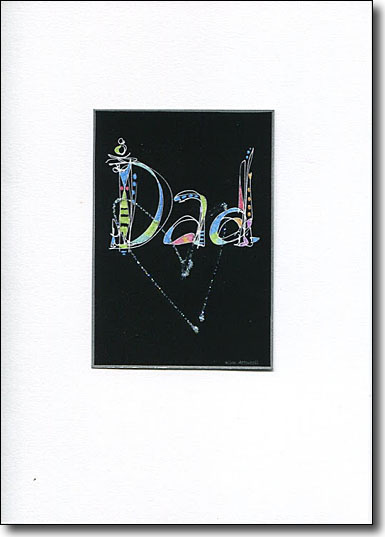 Show Dad how very special he is by giving him a one of a kind Father's Day card. 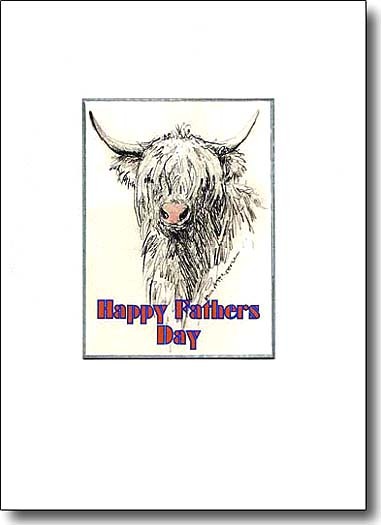 ....Dads will chuckle when they get this Father's Day card, the big hairy beastie has a wet shiny nose. This card is alive with movement. The silver pen is used to enhance the cast and there are sparkles on the water. You know this card will be his favorite if he's ever been fly fishing. "Dad you're the best", is sure to please a great Dad. 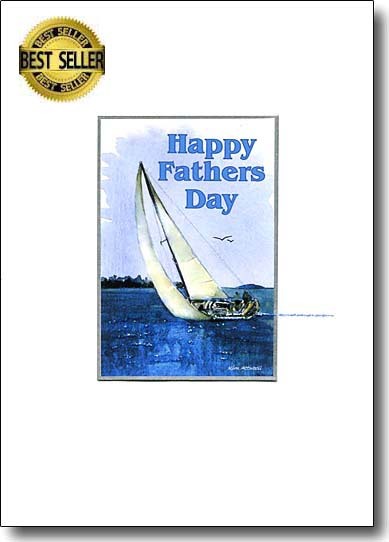 This Father's Day card will be perfect for Dads who love being on or near the water. The enhancement is the wake behind the boat being carried over to the card. 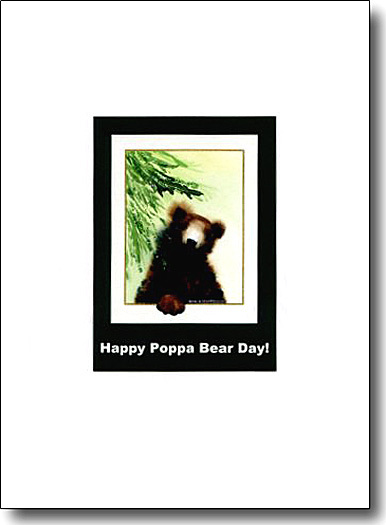 What a fun way to give poppa bear a visual hug! This bear says it perfectly. 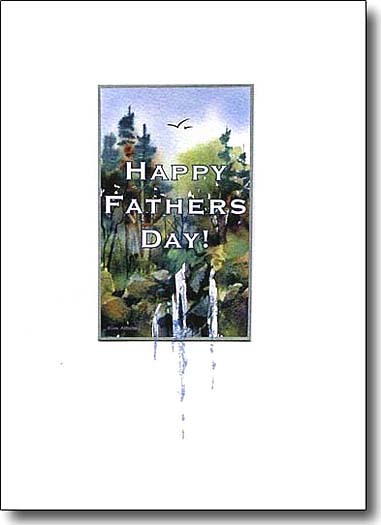 Please the hiker, biker, outdoors man in your family with this compelling card, where the water falls beneath the image on to the card. Special letters for a Very Special Dad. 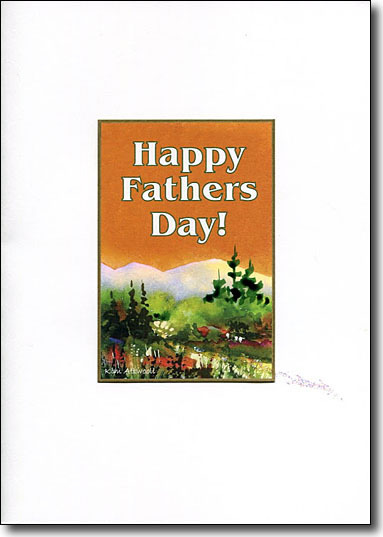 He will love the vibrant calligraphy on this Father's Day card. It's embellished with a sparkle flourish. A handsome stag is iconic for strong male. 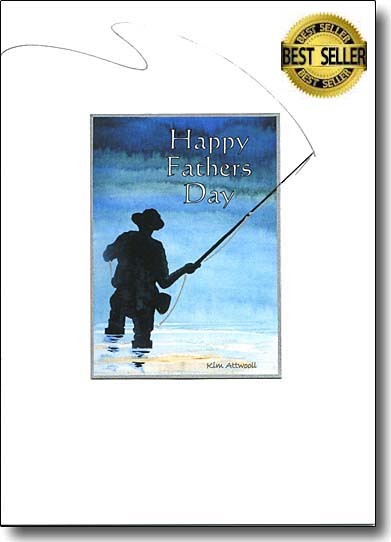 I show that in this image and it make a perfect Fathers Day card. Dad, you're the man. 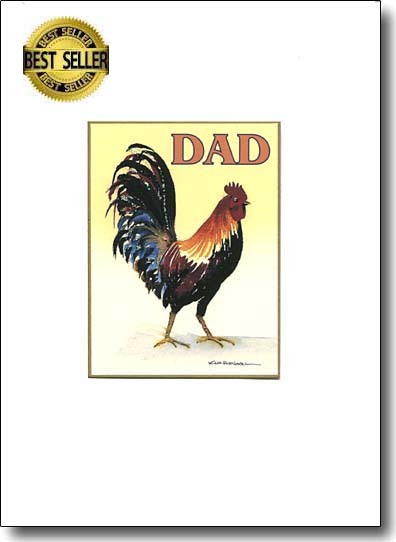 My plucky rooster is a symbol for maleness and is an icon for Dads of all types. He's sure to smile knowingly when he opens this card. 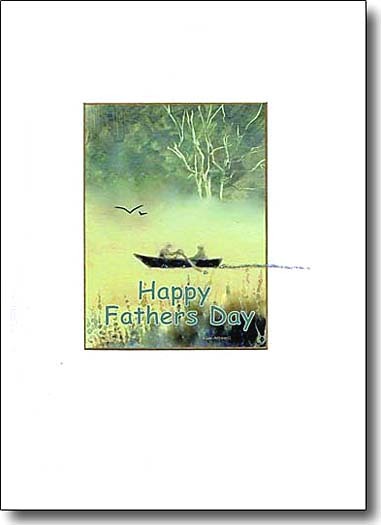 For fishing fathers this Father's Day Card sets the scene that they love, getting out in a boat on a misty morning. 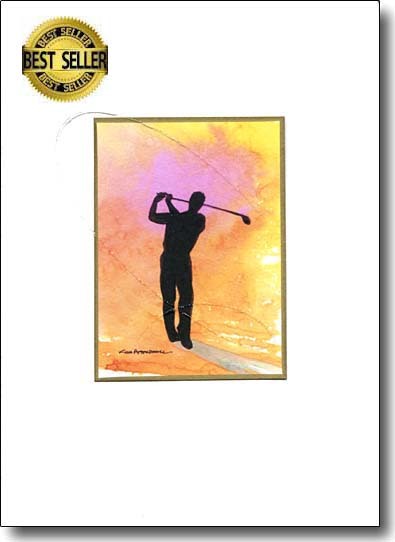 If Dad is a golfer, this is a great card for him. I enhance the direction of the swing on every one. 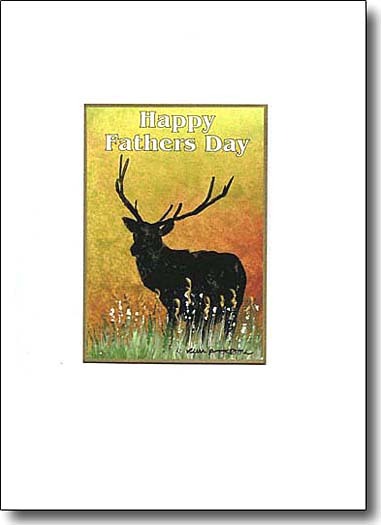 This rich landscape is a fun Father's Day card. It can remind him of the many family outings that he's led you on, or be a suggestion that you're ready for more.